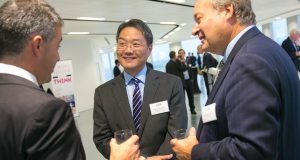 The first week of June saw Mitsui Fudosan hosting two key industry events at its projects in White City and Angel Court. On 6 June, members of the Cambridge University Land Society (CULS) Commercial Property Forum were invited to Television Centre and White City Place for a tour of the projects followed by a discussion. Healthy food café-restaurant Nurture, one of White City Place’s new tenants, provided catering for the event. 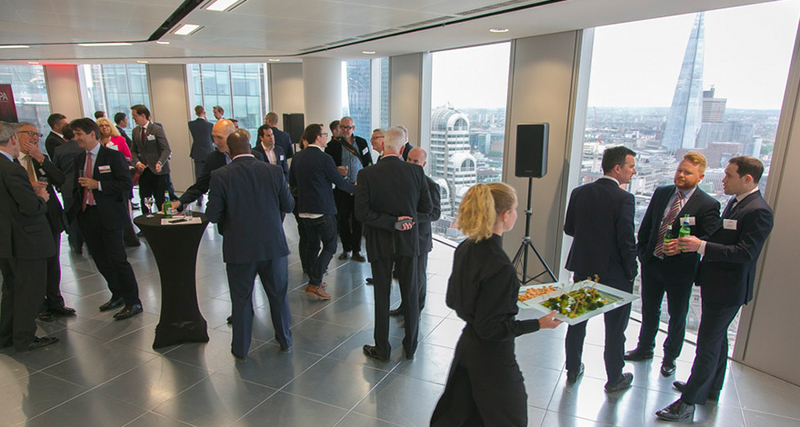 Angel Court’s highest floor was the venue for the City Property Association (CPA)’s summer drinks reception on 7 June with over 150 members attending. Guests were treated to 360 degree panoramic views of London in the first tall building to complete in the City this year. Speaking at the reception, Eiichiro Onozawa, Managing Director of Mitsui Fudosan, reiterated the company’s commitment to enhancing London’s cityscape by delivering a building with the flexibilities and amenities that modern day businesses aspire to. “One Angel Court marks our third building to be delivered in the City, and what we aimed to achieve throughout this development was to meet and exceed the expectations of prospective tenants, local government and visitors alike”. John Barradell, Chief Executive at the City of London Corporation, addressed CPA members on the virtues of the Square Mile, while Mark Ridley, Commercial Director at Stanhope and President of the CPA, introduced the One City initiative which has been set up to encourage City workers to enjoy the leisure and retail facilities on their doorstep.